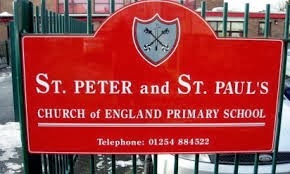 A meeting has been arranged for parents of school leavers from St Peter & St Paul's Primary School to discuss a graduation party. A provisional date of July 4th has been booked at the club in the function room and the intention is to host a ticketed event including food and a disco. Letters have today gone out to all parents and guardians of Year 6. The meeting will take place at Rishton Free Gardeners Club on Tuesday 18th March at 7.00pm and is open to all parents of children at the school who are in their final year. For more details contact Laura on 07984154412 or Nikola on 07525474449.